Video production for small to mid-size budgets. Strength of concept. Simplicity of execution. By doing the hard work of crafting compelling images that tell an impactful story, a story that can be executed with a minimum of production resources, you win the day. This is our core mission. Lenscrafters. The client asked for something "quirky and fun." What do you think? Shot and edited by owner Michael Rand. Reebok - Erin Andrews. The client asked for a "natural, spontaneous feel." Decide for yourself. Shot and edited by owner Michael Rand. Trailer for our music documentary on Flamenco Music. Shot on location in Andalucia, Spain by owner Michael Rand. City of Portsmouth - Official Video 2017. This project was shot over an entire year to capture all four seasons. Co-written, shot, and edited by owner Michael Rand, who also did the voiceover. World Cup 2014 Promo. The client wanted an "unslick depiction of a secret soccer superfan." You decide if we succeeded. Sam Adams Beer Promo. The client asked for "something personal that shows how their product is intertwined in life's seminal moments." What do you think? Shot and edited by owner Michael Rand. Reebok Apparel Promo. We pitched the client "an otherworldy, Tron-like feel." They went for it. Timberland's "Yellow Boot". We pitched the client an "Earthy, organic look that pointed up the connection between the human hand and their hand-made, iconic boot." It went viral. Shot and edited by owner Michael Rand. One of three in a series for Reebok featuring individual women around the world, this one German. Shot and edited by owner Michael Rand. Two of three in a series for Reebok featuring individual women around the world, this one Indian. Shot and edited by owner Michael Rand. Three of three in a series for Reebok featuring individual women around the world, this one Japanese. Shot and edited by owner Michael Rand. Senator David Watters Promo. Set to music courtesy of the Allman Brothers Band, I took to the air with my 4K drone to capture the energy of Senator Watters as he traverses the communities he represents in the New Hampshire senate. He won re-election. Shot and edited by owner Michael Rand. Kikkoman Recipe Promo. They supplied the recipe. We turned it around in two days. Shot and edited by owner Michael Rand. Tranquil Moments Sound System. Here's one from the deep archives, which we did for specialty retailer Brookstone. Shot on 16mm film, no less! ''We are what we repeatedly do. Motionroad is still thriving after a decade. A decade during which our industry was turned upside down like so many others. Competition is fiercer than ever. Budgets continue to shrink while client expectations grow. Technology and software is ever-changing. The speed of change is daunting. But one thing remains constant: talented, competent, dependable, pleasant people are still hard to find. 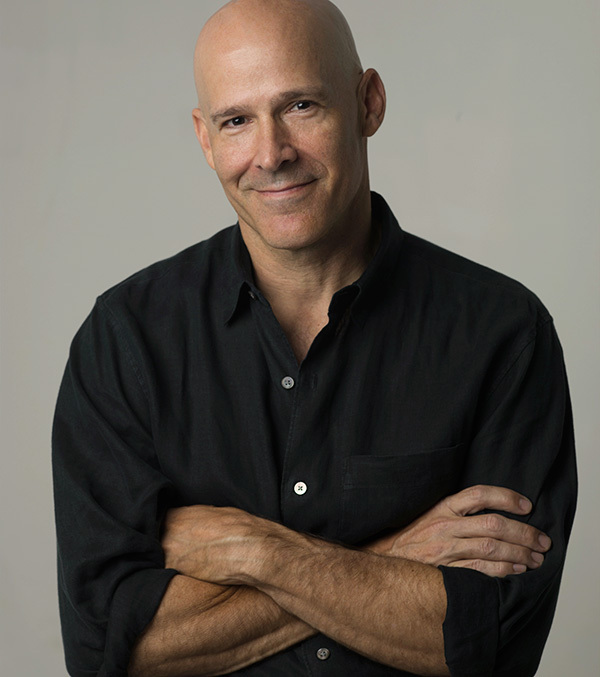 My name is Michael Rand. Long before I started Motionroad, I was a writer, producer, and editor in high-tech, dot-com, and retail, earning my pay by thinking creatively and strategically about achieving business objectives through the impactful marriage of image and word. The tools may have changed but the game remains the same: finding a unique and creative approach that can be executed with a minimum of resources. When you hire Motionroad, you get me. Your budget might allow for one of our small, handpicked teams, or it might allow for only a single filmmaker, someone who writes, shoots, and edits the entire project. The latter option, the lone-wolf filmmaker, is fast becoming the option for many small companies that need professional production value on a small budget. I am often hired in that lone-wolf role and I relish it. Give me a shout. I'll find an approach that works for you. That's just how we like to roll. We don't employ in-house crew because it doesn't yield better results and increases costs. We prefer a more responsive, nimbler model, one that keeps things fresh, impactful, and tailored for almost any budget. Our mantra: strength of concept, simplicity of execution. A deep roster of talented, freelance filmmakers. High-end production equipment is ubiquitous. Talented filmmakers, however, are still hard to find. We have built ongoing relationships with experienced, savvy professionals in every filmmaking discipline. And we carefully handpick a small team specifically for your project. Small team or Lone wolf? We'll work with your budget. By putting the best technology in the hands of a few, talented people, we can go far. 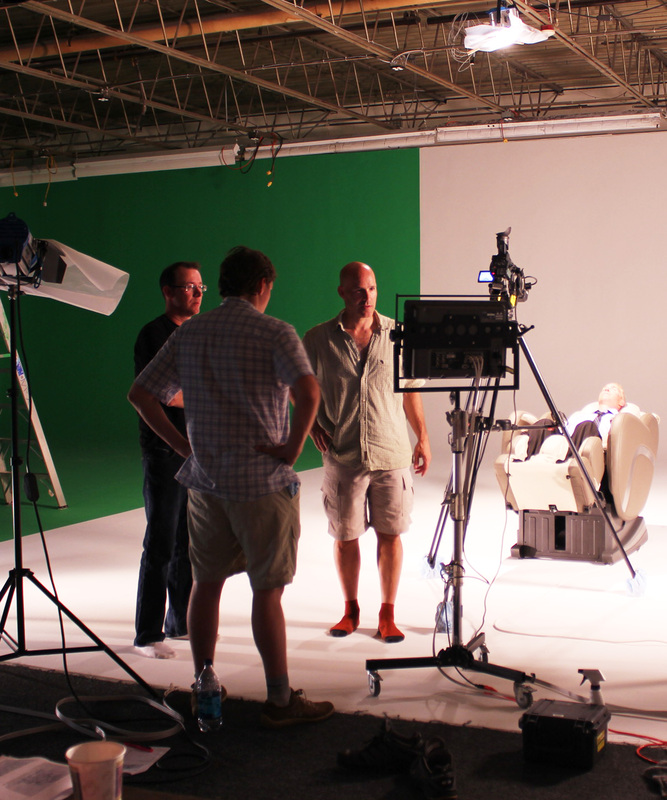 We often produce outstanding work with a crew of just two or three (such as the project for Brookstone's premier massage chair in the opposing photograph). Not every project allows for such a lean production approach, but there are many that do. And you can always go the lone-wolf route and hire Michael to handle your entire project, he loves working that way.